At Johnson & Johnson we’re united by the same goal – caring for the world one person at a time. It inspires our search for ways to make a difference, whether it’s in the smallest daily rituals or the biggest health concerns. It drives our embrace of science and medical research, helping us create innovative products and services. And it informs our efforts to advance the health and well-being of all New Zealanders. The world’s eigth-largest pharmaceuticals company. 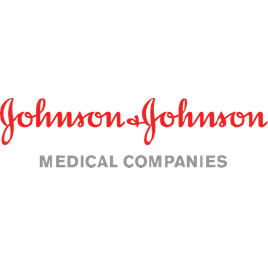 Johnson & Johnson Pty Ltd was established in Australia in 1931. Today, we employ around 2,000 people throughout Australia and New Zealand and generate AUD$1.5bn in revenue. We have three medical and healthcare-focused companies operating within New Zealand: Johnson & Johnson Medical, Janssen, Johnson & Johnson Pacific. At Janssen-Cilag Pty Ltd (Janssen) everything we do is engineered with the patient in mind. It fuels our commitment to solving the most important unmet medical needs of our time. These include devastating diseases such as HIV/AIDS, schizophrenia and cancer. Our founder, Dr Paul Janssen, believed in the power of innovation. It’s an idea that is alive and well in Janssen today. Our research has already resulted in a series of breakthrough medicines that are improving the health of Australian patients and patients worldwide. We employ more than 250 staff in Australia and New Zealand. All committed to innovation. And all delivering value to our patients and their families. Find out more about Janssen. Our Medical Devices and Diagnostics business is helping to transform the lives of patients around Australia. Doctors and surgeons depend on our innovative products and solutions in all sorts of settings. From general surgery, orthopaedics and bariatrics to neurological and cardiovascular disease, infection prevention, diagnostics and aesthetics. 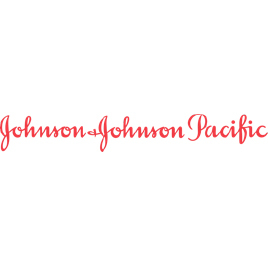 Johnson & Johnson Pacific Pty Ltd (JJP) touches millions of people’s lives every day. Many of our products are household names. In fact, you’ll find a JJP product in nearly every New Zealand household. You’ll also find many of our brands, such as LISTERINE® Mouthwash, BAND-AID® Brand Adhesive Bandages and JOHNSON’S® baby toiletries are #1 in their category.